HelsinkiIn: How does your dream apartment look like? How does your dream apartment look like? 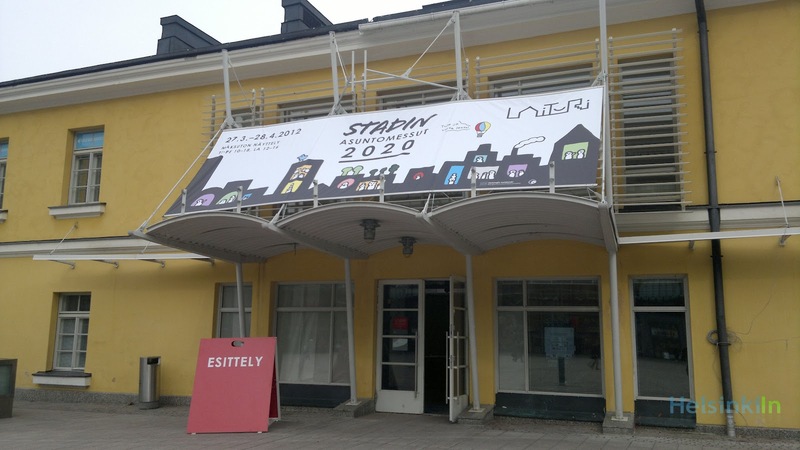 The Helsinki City Planning Department wants to find out about what people’s dream apartments would look like to make Helsinki an even more livable place. 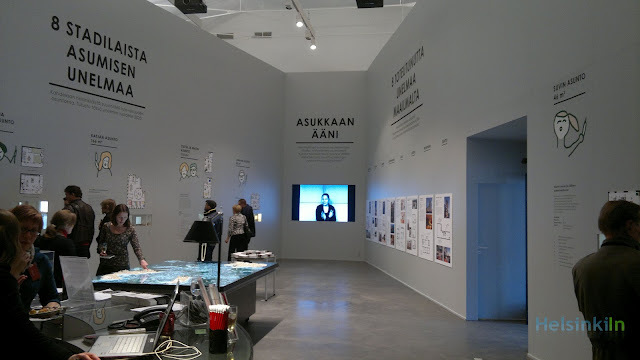 At Laituri first results of their cooperation with Helsinki’s inhabitants are on display. If you were to create your own dream apartment how would it look like? And how would it differ from the way you live at the moment? The City Planning Department asked these questions to people from around the city. Among others Juhani Tauriainen, a retired professor for political science, had the chance to draw his dream apartment. “It has to be close to the sea or at least to a lake. The presence of water is very important to me.” Also the aspect of space plays a big role for Juhani. He created a lot of storing space in his apartment and also made the bathroom a bit bigger – for the sauna of course. It would be wonderful to make individual housing possible where everyone could design and build their own individual apartment, Hilla says. People could get together in groups and build their dream house together. To get as close as possible to this vision, you have to ask people about their dreams. To understand what people’s needs and dreams for housing are Hilla Rudanko and her team wanted to question as many people as possible. After making video interviews with the first eight candidates they already got so many good ideas and so much film material that they decided to make an exhibition just with what they had captured so far. Along with the models of their apartments the interviews are now shown on a big screen at Laituri to the public. But more ideas are always welcome. Till the end of the exhibition at April 28th people have the possibility to fill in a questioner – at Laituri or online – about their ideal apartment. All ideas will be collected and be presented to designers, architects and the City Planning Department of Helsinki afterwards. And in the near future there is going to be a lot of potential for those new ideas to become reality. The city of Helsinki has big plans. Within the next decades the districts of Länsisatama, Kalasatama and Kruunuvuorenranta will be constructed. Those major projects also bring a lot of space for creativity with them. Finding out how the people in Helsinki would like to live, what they think is important in an apartment, does not necessarily make city planning more easy but definitely more successful. Thanks for finally writing about > "How does your dream apartment look like?" < Liked it! Asking the opinion of the general population as regards their ideals in new home development is a wise move. Urban development should be a partnership -- between urban planners and their target customers.